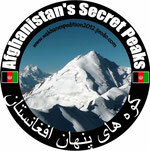 Afghanistan's Secret Peaks - wakhanexpedition2012s Jimdo-Page! - to traverse the length of Wakhan Corridor from West to the far East to explore two untouched valleys and to tackle first ascents on nameless & virgin peaks. - to paraglide over these previously unexplored valleys for a precise aerial view. - to produce a high definition documentary that can be used to promote the region among other climbers and lovers of any type of outdoor adventure. Main infos you can find in English as well as German and Polish under the left side buttons. Feel free to roam through our infos all over the page - or send us a question by using the contact button, we get back to you as soon as possible.